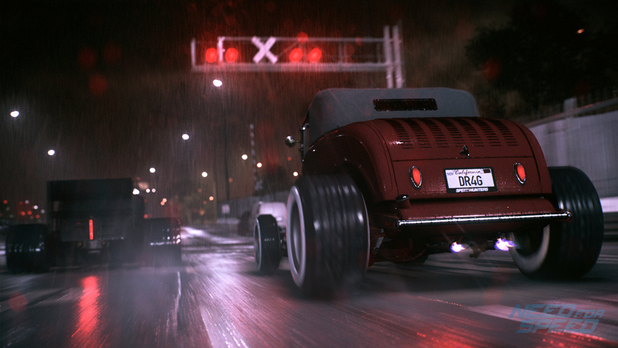 The latest update for Need for Speed will arrive soon, and it will include hot rods, manual transmission, and drag racing. It will also bring forth expanded garage storage to store all your favorite vehicles. The update will come out on March 3rd. Two new hot rods will make an appearance in this update. The first one will be BeckKustons F132. The second one will be the 1932 Hot Rod which comes with a total of four bodykits. These bodykits are as followed, coupe, sedan, soft top, and pickup. Along with having these bodykits you will be able to add your own flavor to the cars by adding custom bumpers, headlights, and much more. In the Drag races you will have a selection of five new events. You'll go up against fierce competition to find out who is the fastest. These events include Neck to Neck, The Perfect Shifts, Drag the Town, Pedal to the Metal and Speed Tunnel. Remember when I said you can store your favorite vehicles in this new expanded garage storage? Well now you'll be able to store ten cars in total because this update will allow 5 additional cars to be stored in your garage. Some other stuff in the update will include improvements on the wrap editor and three new achievements. The first is Drag Queen, you will have to win five drag race events. The second is Wrap it up, this one will require the player to download a shared wrap. The last one is Kustom Kar. You will have to buy your first Hot Rod to get this achievement. Snapshots will be easier to navigate to in the Need for Speed Network menu. You'll experience more campaigns for your Rep, and cash along with discounts. Some tweaks to fix gameplay, world and audio will be implemented. Some minor stability fixes will come with the update as well. This update is packed with with a ton of new goodies and a few fixes here and there. What are you looking forward for in this update? Share your thoughts in the comments down below. LookBroZombies_XBL, 3xTiNcT, God and 1 other person like this.